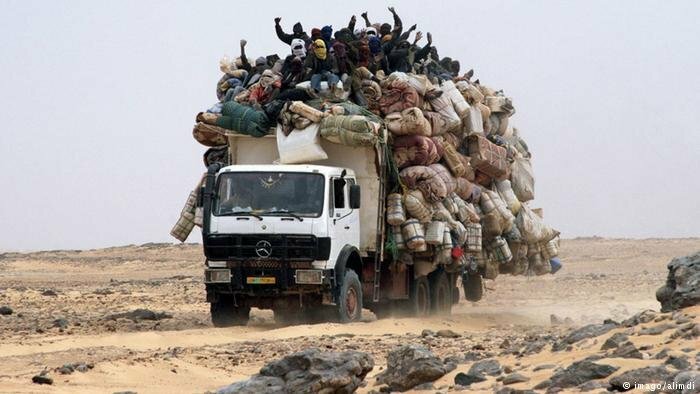 Migrants rely on smugglers to cross the desert. Many can expect to be kidnapped and even tortured before their journey is over. 'Travel now, pay later' schemes offered by smugglers seem to be increasing the risks to migrants and refugees, especially in parts of Africa. One of the dangers is being kidnapped for ransom, a business that thrives in lawless regions and traps migrants with no way out. Mulugeta, a 27-year-old man from Eritrea, sent Facebook messages to Time magazine, where his story appeared last week. He had been through a living hell. In 2018, criminals captured Mulugeta and demanded ransom money, which the family raised by selling their house and jewellery. In October, the kidnappers sent the family a photo of Mulugeta being tortured, knowing that they could put it on social media to collect more ransom money from friends. Mulugeta was finally released in November, having paid $18,400 to five different smugglers. "Please all the world watch us," Time quotes him as saying. "We need your help. We are in danger." Latest @TIME on how refugees in Libya, Sudan & Niger are turning to Facebook to crowdfund ransoms, as smugglers hold them hostage & torture them until they pay inflated rates. As well as mass killings, torture, sexual violence, and exploitation, kidnapping for extortion is one of the many risks faced by migrants who rely on smugglers to cross borders. Of all the irregular migration routes, the route from the Horn of Africa to North Africa is one of the worst in the world for this kind of crime. From interviews with more than 11,000 migrants and refugees across seven migration routes, researchers from the Mixed Migration Centre in Switzerland have found that more than 15 percent of migrants – or about one in seven people traveling through this region was kidnapped during their journey. Stories of torture and extortion like Mulugeta’s seem to be becoming more common, thanks to the growth of 'migrate now, pay later' schemes. This system allows young people and others to use smugglers' services even if they can’t afford an up-front payment. At the same time, it makes migrants more vulnerable to being abused or trafficked at some point in the journey, says Tuesday Reitano, from the Global Intiative Against Transnational Organized Crime. "Typically, a migrant will be told they only need, say, $100 to make the trip, but then find themselves held against their will after leaving their country." The further you move away from your country of origin, the more vulnerable you become to kidnapping, because you have less established networks to rely on. In Sudan, kidnapping migrants for ransom has become the crime of choice for traffickers. Morgane Nicot, the head of the program to stop migrant smuggling at the UN Office on Drugs and Crime, says the first successful conviction for human trafficking here was over the kidnapping, ill-treatment and extortion of an Eritrean migrant. In 2016, migrant smugglers did a minimum of $5.5-7 billion dollars worth of trade – alone from the known portion of the crime, according to the UNODC. Since then, there have been greater efforts to clamp down on criminal networks. Increased border controls have led to a decrease in the number of migrants traveling some routes, forcing smugglers to seek other sources of income, such as ransom money. Sometimes, it is not the smugglers themselves demanding ransom payment, but armed groups who target small convoys of migrants, steal their possessions and then threaten their lives unless a ransom is paid. 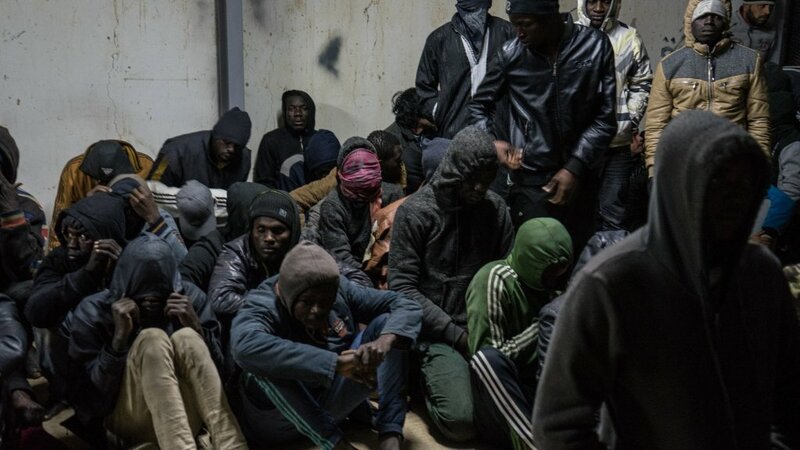 This kind of extortion business expanded in the wake of the Libyan revolution, say Reitano and fellow Global Initiative analyst, Samantha McCormack: "Dedicated kidnap gangs like these have become an integral part of Libya’s smuggling economy... In some reports, smugglers have sold migrants to the kidnap gangs either where disputes have arisen, or in cases where migrants cannot pay for their onward passage." Migrants who are detained in hotspots like Libya can also effectively become victims of kidnapping. "Very often, detention occurs in a situation of coercion, extortion and violence. You have to pay if you want to be released," says Roberto Forin of the MMC. "In Libya...often it’s not clear who is supposed to man the detention centers and who are the militias." The line between kidnapping for ransom and detention becomes "blurred". As so many images of torture and abuse on social media show, some migrant kidnappers will go to extremes to make sure the ransom money is paid. How much is extorted is hard to know. Family members and friends of victims do not always admit to their dealings with the kidnappers, and money transfer systems can be complex and impossible to trace. Generally, ransom amounts seem to be affected by where the migrant is from, and the kidnapper’s perception of how much their families can afford to pay. It has been suggested that social media platforms like Facebook, which enable quick fund-raising, have pushed up the prices being asked for migrants' freedom. The Guardian reports that ransom fees are often about $2,000. But according to Time, one Sudanese man in detention in Tripoli said everyone being detained with him had paid at least $3,000. He even said a Somali woman had paid an extraordinarily high sum of $60,000. The risk of being kidnapped on a migration journey is especially high for Eritreans, Somalis and Ethiopians. It is hard to say whether this has more to do with the nationality of the migrants or the route itself, as most people traveling the Horn of Africa route are from these three countries. If these three groups are targeted more often, it may also be because they are generally better off. The UNODC says migrants with a strong community in the destination country -- Eritreans heading for Scandinavia, for example -- are at greater risk. "The kidnappers assume their families can mobilize the demanded amount of money," Morgane Nicot says. At the same time, Sudanese seem to be at a lesser risk. The MMC data show that, while nearly one in five Ethiopians said they had been kidnapped at least once during their journey, only one in 25 Sudanese reported having been kidnapped on the same route. Forin says this is probably because in Sudan, where much of the kidnapping happens, Sudanese themselves are less likely to be captured. Many traffickers look at Eritreans, Ethiopians and Somalis with a dollar sign on them. Mulugeta had no option: He was forced to suffer until his captors got paid. And the data show that people do pay the kidnappers, Forin says. A migrant who has been kidnapped has very few, if any, choices to make. They may be able to avoid danger by not opting for "pay as you go" schemes, which seem to expose migrants and refugees to greater risks, advises Forin. Some smuggling outfits may also be safer than others. Interviews with migrants on the Western Balkan route showed some "quality services" were "more expensive, but safer", while others were "cheaper, but a bit more dangerous," Forin says. The UNODC also suggests that in general, the higher the fee, the better the service, although a steep price is no guarantee of safe passage. As long as migrants continue to rely on smugglers they will be exposed to the risk of extortion. The MMC has evidence that violations along migration routes, including kidnapping, often happen with the collusion of border authorities. Forin says what is needed is to find the "rotten apples" among the authorities, and more effort should be put into tracking the money flows. At the same time, offering safe, regular migration options would go a long way to tackling smuggling and, in turn, the crime of kidnapping. The data on migrant kidnappings collected by the MMC was initially supplied in response to a request from The Guardian. The MMC is an independent source of data, research, analysis and policy development on mixed migration for policy makers, practitioners, journalists, and the broader humanitarian sector. It is part of the Danish Refugee Council (DRC). The position of the MMC does not necessarily reflect the position of DRC.